Jimmy Lewis France - Stand Up Paddle, Kitesurf & Surf. JIMMY LEWIS, shaper de renom dans différents sports nautiques comme le Surf, le Windsurf, le Kitesurf, le Stand Up Paddle ou encore le Foil Board est aujourd’hui présent en France par l’intermédiaire de la société All Surf Import. Jimmy a conçu et conçoit toujours pour de nombreux leaders dans les différentes disciplines des planches et des accessoires. Les plus grandes marques ont fait appel à lui pour shaper des planches qui sont devenues de véritables best seller. Plus de 40 ans d’expérience de shape en font l’un des shapers les plus reconnus dans le monde entier. Tous les produits de la gamme JIMMY LEWIS sont disponibles en France Métropolitaine, Corse et DOM auprès d’une quinzaine de revendeurs Jimmy Lewis répartis sur tout le territoire. Découvrez toutes les planches ainsi que tous les accessoires de la gamme Stand Up Paddle de la marque JIMMY LEWIS. Tous les produits de la gamme Stand Up Paddle présentés sur ce site sont disponibles pour la France métropolitaine et DOM auprès des revendeurs locaux. Découvrez toutes les planches ainsi que tous les accessoires de la gamme Surf de la marque JIMMY LEWIS. Tous les produits de la gamme Surf présentés sur ce site sont disponibles pour la France métropolitaine et DOM auprès des revendeurs locaux. Découvrez toutes les planches ainsi que tous les accessoires de la gamme Kite Surf de la marque JIMMY LEWIS. Tous les produits de la gamme Kitesurf présentés sur ce site sont disponibles pour la France métropolitaine et DOM auprès des revendeurs locaux. I shaped my first few sailboards in 1978 for Mike Waltze and Mark Robinson. I had previously been shaping surfboards since 1968. 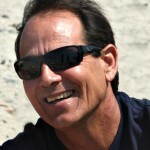 In 1981 I started work for Fred Haywood and Mike Waltze at Sailboards Maui where I was involved with them in shaping some of the very first » sinker » short boards. We focused on wave boards but world renowned, Arnaud de Rosnay had me shape a few boards especially for straight line speed to take to Weymouth, England for the only speed sailing event in existence at the time. In 1982, Pascal Maka took a stock Sailboards Maui wave board that I shaped to Weymouth and smashed the existing windsurfing speed record by 4 Knots with the incredible speed of 27.82 Knots. 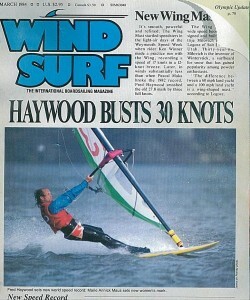 Pascal’s success got Fred Haywood interested so I shaped him 2 « speed boards » to take to Weymouth in 1983. Fred smashed Pascal’s previous record by 2 Knots by going 30.82. At the event that year, Fred sold one of the 2 boards to Robert Teritehau who increased his personal best time at the same contest by 2 Knots when he switched to my shape. Fred was the first sailboard over 30 Knots, second only to a catamaran called Crossbow which held the absolute world speed sailing record of 36 Knots. Three years later, in the Canary Islands, 4 Sailors using my Boards became to be the first to beat Crossbow. Pascal Maka clocked an incredible 38.86, while Eric Beale, Fred Haywood and myself did 36.73 , 36.13 and 36.31 respectively. Eight out of the top 10 at that event used Jimmy Lewis boards. This would remain the status quo for several years to come. A few years later Eric Beale became the first one to sail over 40 Knots by setting a new absolute world speed record of 40.48 Knots, on one of my boards of course.During all of those « speed years » I continued shaping wave boards as well as slalom boards. In the 90’s most of my focus was on slalom boards but recently, Roddy Lewis set what some people call the « open ocean » record (meaning not « the canal » in France) by going 44.51 Knots. Here on Maui, since the beginning of the Kanaha Race Series every summer, more racers using Jimmy Lewis boards have placed in the top 3 or have won each division in the series than any other boards. Then About 5 years ago I made Laird Hamilton a few boards for him to use with a kite that he had. The boards I made were more like oversized waterski’s. Then a few years later, this windsurfer turned kiteboarder came up to my shop, partly because I volunteered to make him a board and partly because he knew from my reputation as a board builder that I was the most qualified to do it. I began to make him a few wakeboards for kiting and then others started to take notice of the boards I was making and suddenly, it seemed, most of the top riders in the rapidly growing sport were coming to me to get my wakeboards. I was also making directional kiteboards too but not in the numbers that I was making wakeboards. Over the past few years I’ve make the boards that some of the major manufacturers have molded for their production line, most notably Starboard and Wipika. I also do prototypes and plugs and team boards for 2 of the other big manufacturers.